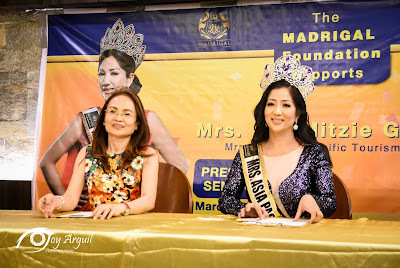 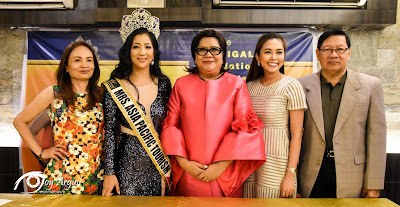 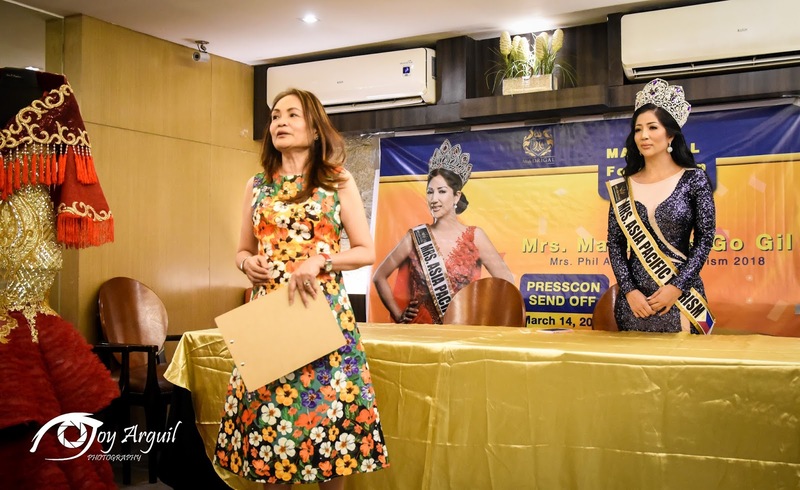 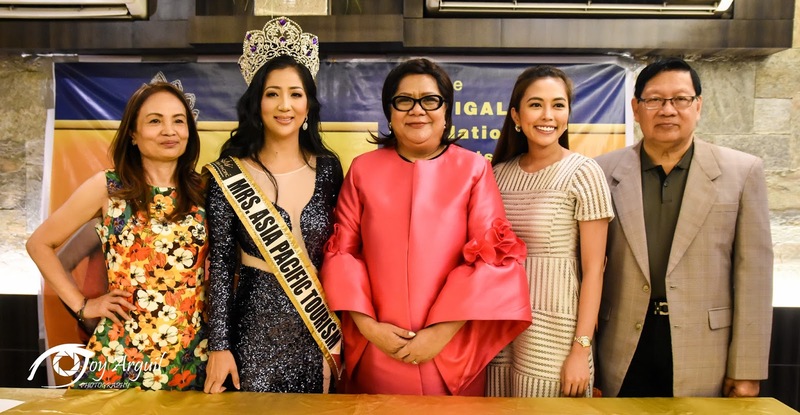 Forty year-old bona fide Rotarian from Rizal Province is the country’s representative to the inaugural Mrs. Asia Pacific 2018 pageant in Singapore and Malaysia from March 20- 25. 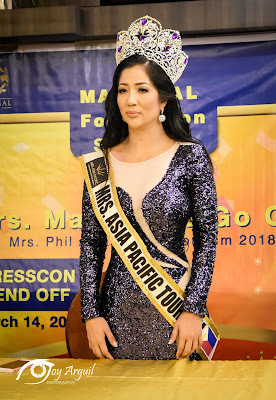 Mrs. Ma. 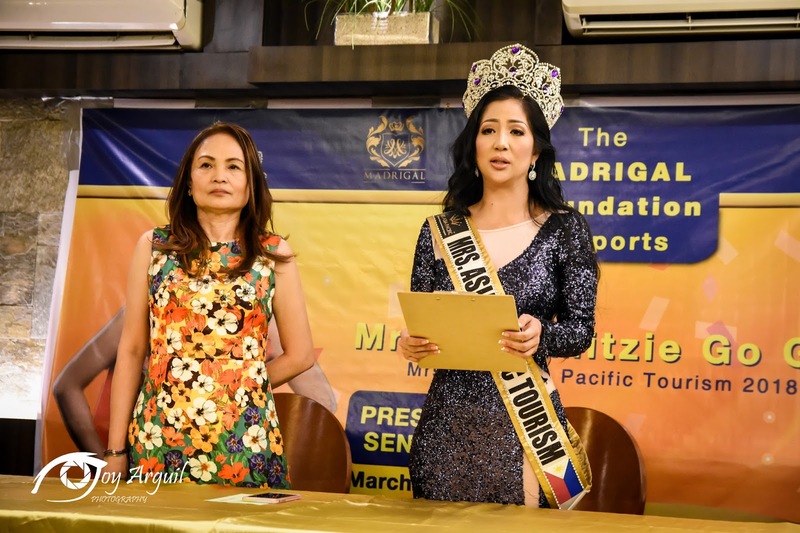 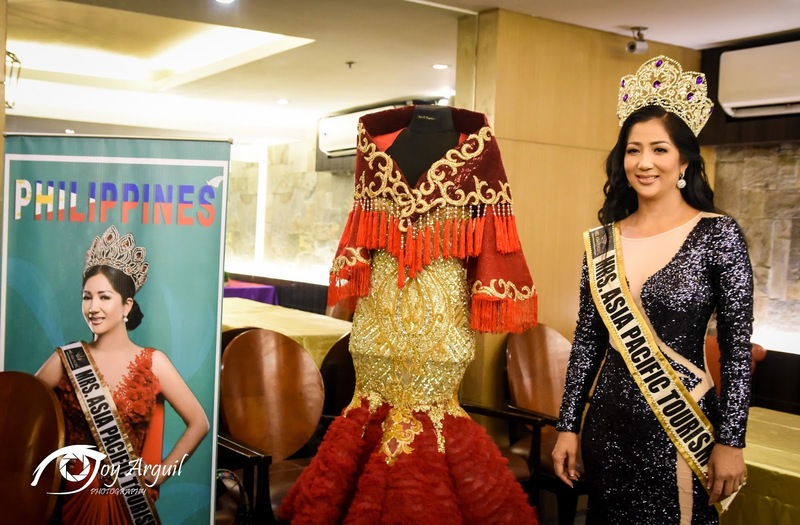 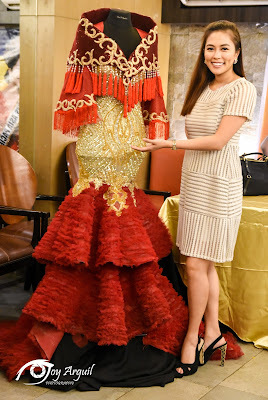 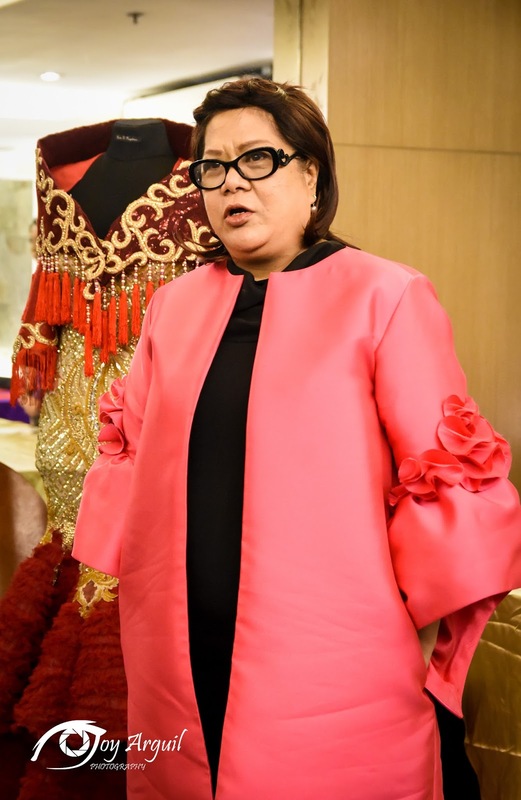 Mitzie Go Gil, a mother of three and wife of retired PNP General Vitrus Gil will carry the flag of the Philippines as she will fly to the exciting city of Singapore on March 20 to start her campaign in the initial year of the pageant. 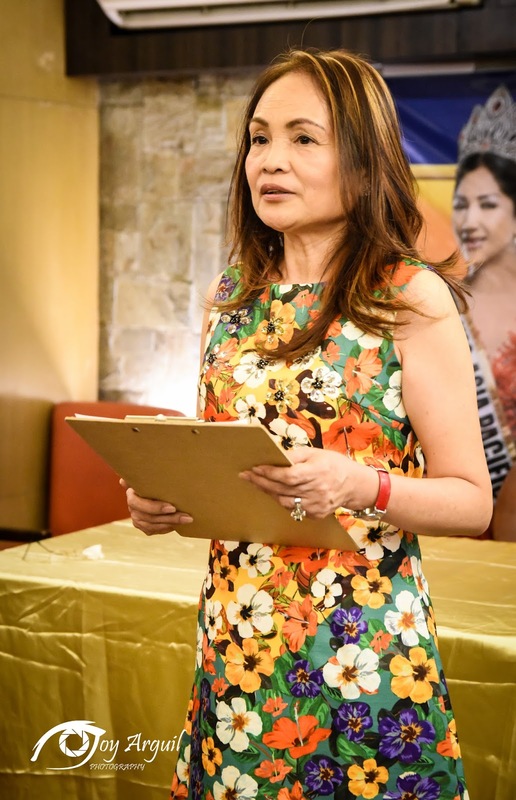 Mitzie owns a travel agency and an active member of NAITAS (National Association of Independent Travel Agencies). 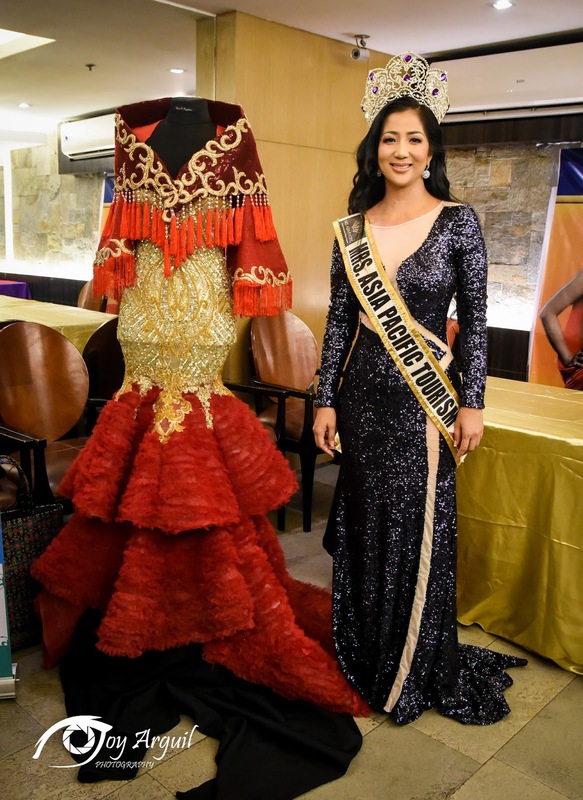 Her family hails from Sultan Kudarat but moved to Davao when she was in college where she finished BSC major in Accounting at the University of Mindanao. 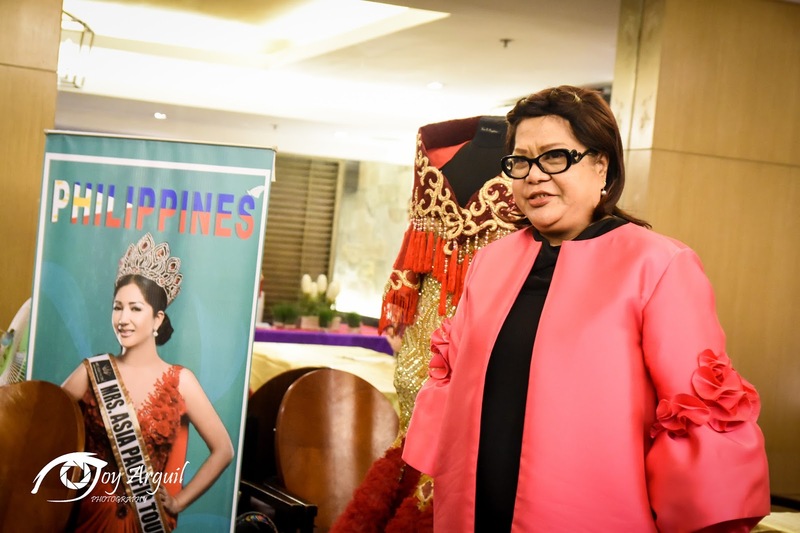 “Currently I am working on various humanitarian projects for less fortunate people in the country and as advocacy, I want to showcase the Philippines as a prime tourist destination in the world”, she says. A rousing send-off press conference was held last March 14 at the Millenia in Ortigas attended by selected people from the media, family and close friends. 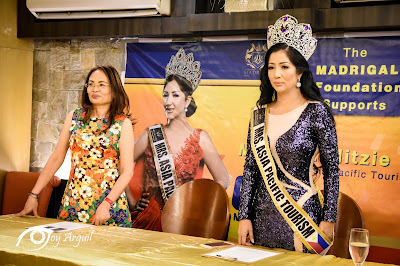 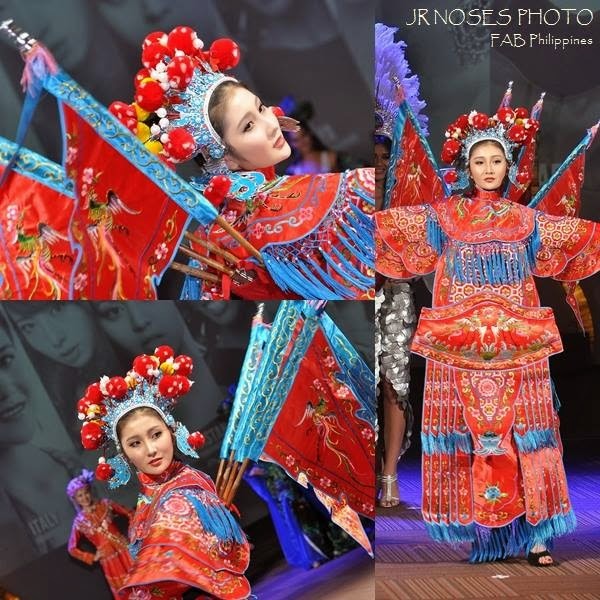 Present during the event is the local franchise holder of Mrs. Asia Pacific Mrs. Annie Refrea and her daughter Roanne Refrea who heads the La Unica Events Management. The Madrigal Foundation represented by Ms. Patricia Madrigal delivered the opening speech and says that they are supporting the pageant for its good cause and the benefits it will give in promoting the tourism aspect of the country. 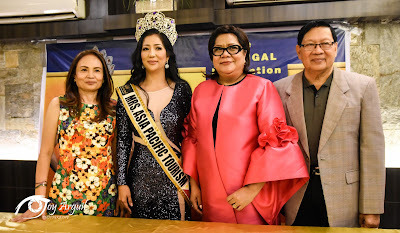 There will be 5 titles at stakes namely Mrs. Asia Pacific Globe, Mrs. Asia Pacific Intercontinental, Mrs. Asia Pacific All Nation, Mrs. Asia Pacific Tourism and Mrs. Asia Pacific Cosmopolitan. 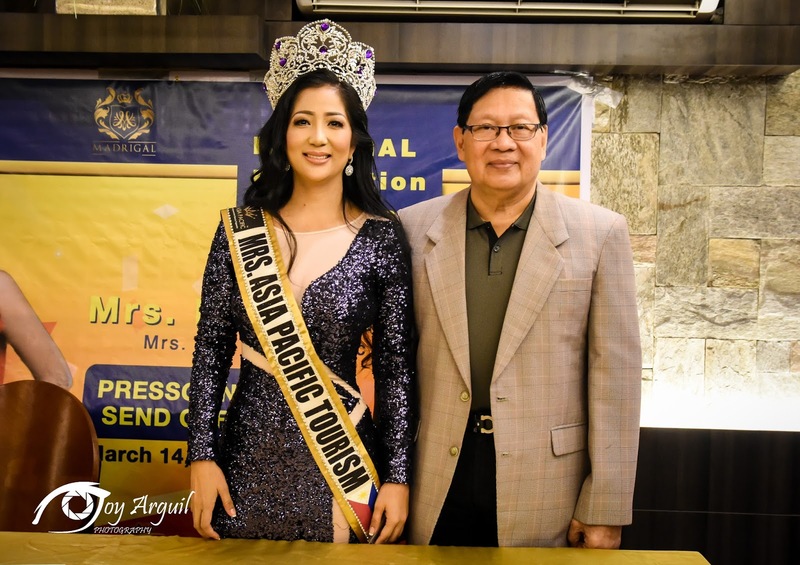 The organizer is expecting more than thirty candidates at the inaugural of the pageant from all over Asia and the Pacific rim. A special award will be given during the finals on March 25, the Mrs. Social Media award where supporters can vote their favorite candidates thru the FB page of Mrs. Asia Pacific. Like the page and the photo of your candidates. 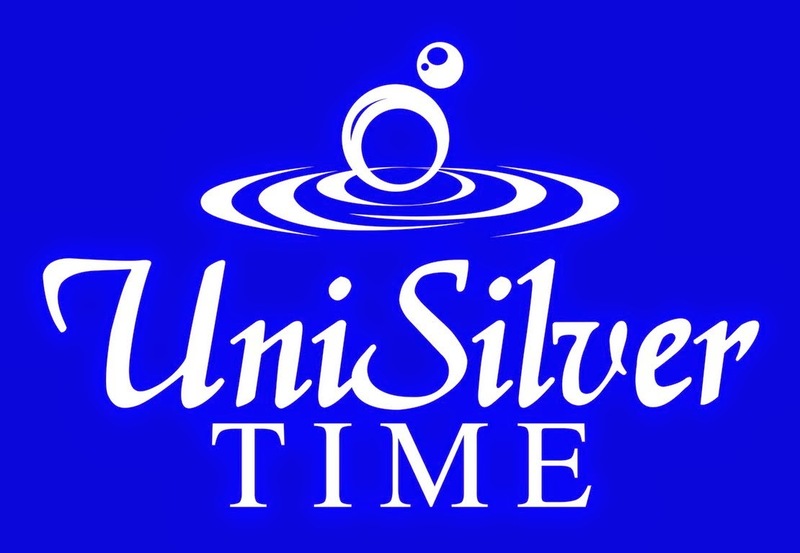 Deadline is on March 20.